Screensavers are always an entertaining way to celebrate any holiday season. 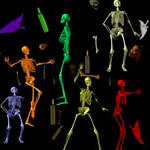 If you happen to be a Halloween fan, there are a number of great screensavers to decorate your desktop. From spooky flaming skulls, to creepy jack-o-lanterns, to an eerie looking crow, this collection of 4 screensavers make a spooky addition to any desktop. Bring the skeleton out of the closet and put him on your desktop or decorate with a pumpkin that never gets smashed. 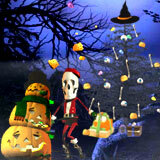 Halloween is about the only holiday I ever dust off the screensavers and turn off the energy saving mode on my PC.